With all the negative news in the media these days, it’s great to hear about someone doing great things for other people—and especially when that “someone” is a child or a group of children. According to an article in The Times of Israel, Dylan Sharp, a Manhattan teen, recently raised close to $50,000 from family and friends at his Bar mitzvah to help Ukrainian Jewish kids at the Tikva Children’s Home, an organization that rescues and houses at-risk Jewish children in the Ukraine. Dylan learned about the plight of the children after watching the organization’s videos and was moved to do more. He urged his nearly 300 Bar mitzvah guests to donate to the charity in lieu of giving him gifts. Sharp’s fundraising efforts prompted an email campaign, urging pre-bar and bat mitzvah students to share information about Tikva with their network of peers. Rabbis at 10 U.S. synagogues are also assisting in the fundraising effort. It sounds like Dylan Sharp has learned a lot in his youth and is quite a caring and mature young man. Four Nampa, Idaho children received a generous surprise from their local news station when the story of their unselfish giving where brought to the station’s attention. The Merrick children had been saving all their loose change in a jar for the past couple of years with the hope of eventually saving enough for a trip to Disneyland. Their savings totaled about $130. However, after watching their local KTVB newscast one morning and learning how they could help a local food bank feed the hungry, the children decided to give their money to the food bank. Additionally, they made a plan to go home and start a journal of all the blessings that would come from their giving. One of the immediate blessings the kids received was a surprise visit from Anchor Doug Petcash and Disneyland passes for the whole family and eight Disney DVDs! Watch the video here. Parents can encourage their child’s entrepreneurial and giving spirit by modeling financial responsibility and providing the tools needed to manage their success. It’s never too early to begin teaching children the life lesson of financial literacy. 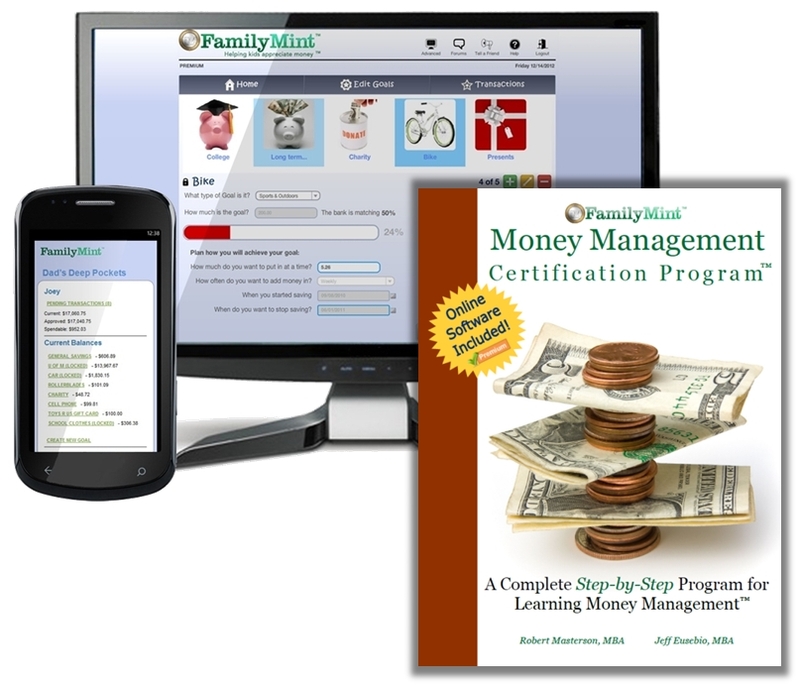 FamilyMint.com can make that lesson easier by providing a fun and educational way for children, with the help of their parents, to manage money and build financial literacy through their easy and intuitive award-winning online money management application.